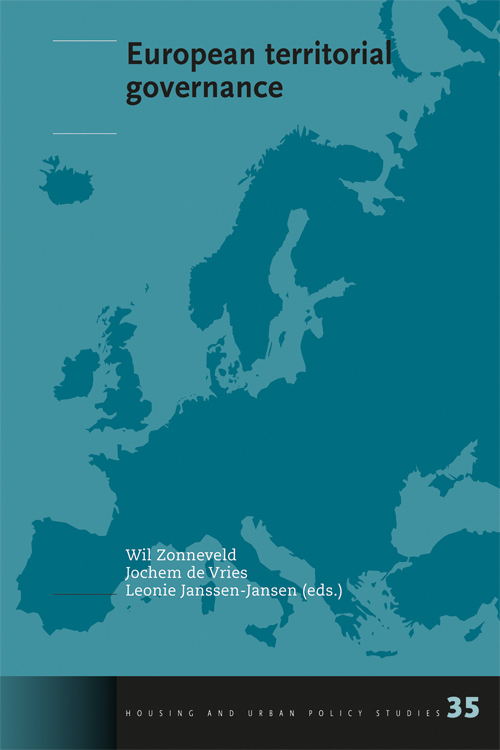 Zonneveld, W., De Vries, J., Janssen-Jansen, L.
The 1990s ended with the birth of the concept of European spatial planning, which became a unique catalyst of change in Europe and in EU member states and regions. This book examines both the evolution of territorial governance at a European and transnational level and how this new type of governance affects planning at the local and regional level. It not only brings together a number of papers written by academic scholars but also several reflective contributions by practitioners. As such, this book seeks to contribute to various theoretical and empirical discussions: the institutionalization of European policy and integration; the Europeanisation of policy and planning; multi-level and multi-actor policy making; the contested nature of the knowledge base of European territorial governance and the role of visualization in politics and planning. This volume has wide-ranging appeal for academics, practitioners and students in the field of urban and regional planning, geography and European studies.